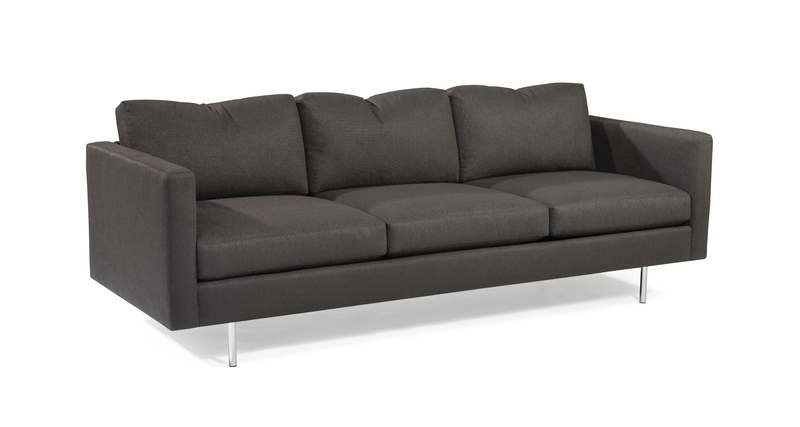 Originally designed in 1964 by Milo Baughman, the 855 Design Classic sofa is a timeless icon of the midcentury modern era. Select from any of our Quick Ship fabrics or leathers for upholstery. Polished stainless steel finish legs are standard. Cushions are poly blend down which require some routine maintenance (fluffing) to restore depth. Height to top of back cushion is 32 inches. Polished stainless steel legs.